This year my daughter requested an emoji-themed arts and crafts birthday party. Yes, you read that correctly. 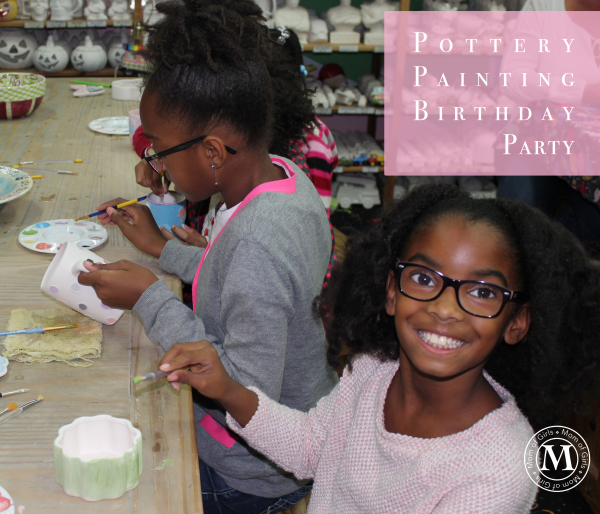 My first thought was to make it a jewelry making party, but she wanted to invite boys and girls, so I changed it to a pottery painting party. The kids had a great time! 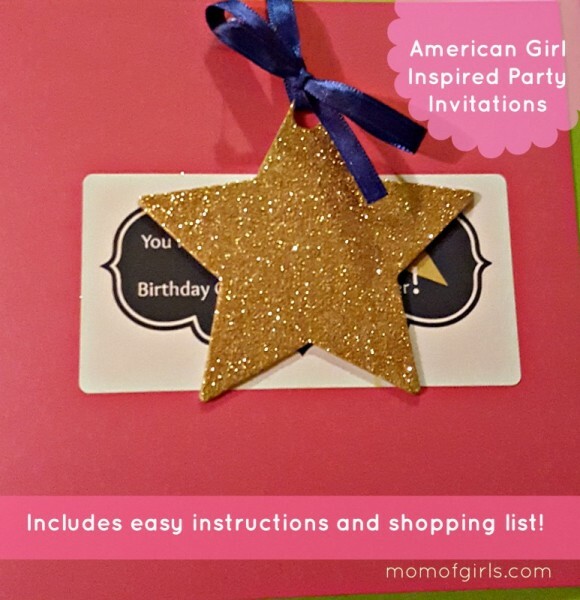 Next I created invitations. 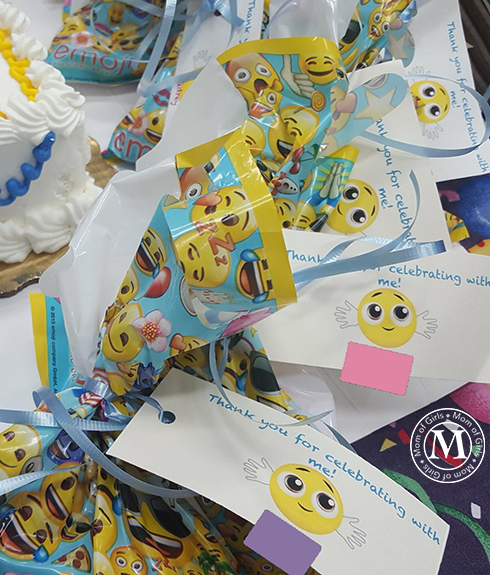 Get the free emoji birthday party invitation here, :-). You can print it on regular letter-size paper and cut it in half. I suggest printing on card stock, but you can use any type of paper you’d like. Once we had the invitations done, I moved on to finding ways to add the emoji theme into her party. Luckily I found these emojis online so I was able to use them not only for the invitation, but for the thank you cards and cake. I took a copy of the invitation to our local grocery store and the custom bakery was able to add the emoji from the invite to the cake. Next I purchased emoji paper plates and napkins, emoji goodie bags, emoji temporary tattoos and candy. I also bought yellow tablecloths, yellow plasticware, juice boxes and bottled water. The day before the party I printed the thank you cards to attach to the goodie bags. You can print the free emoji thank you cards here. They print 10/sheet. Simply cut them, punch a hole in the left side and they’ll be ready to attach to the goodie bags. To assemble the goodie bags we added the candy and one tattoo per bag. Then we tied the goodie bags closed with ribbon, strung one thank you card per bag and they were ready. The day of the party I packed my bag with essentials: cake cutter, lighter, goodie bags, plates, napkins, plasticware, tablecloth. On the way to the pottery studio we picked up the cake and a fruit tray. Believe it or not, some kids don’t eat cake but they’ll eat fruit. Most kids had fruit with their cake, :-). You could also add pizza. The kids enjoyed choosing their own item to paint and they LOVED all of the emoji stuff. I was happy to have a party that didn’t include me cleaning my house afterwards, :-). Here’s to a satisfied birthday girl!